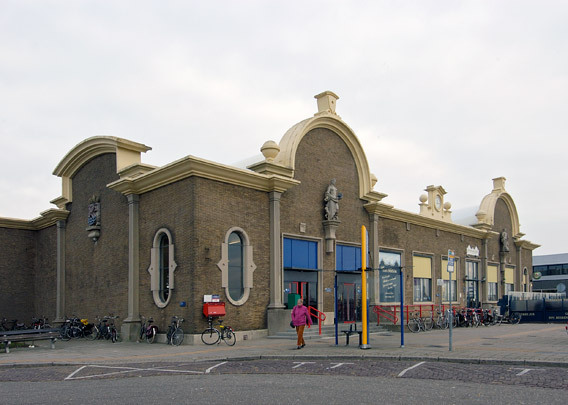 The railway station at Vlissingen is one of the last surviving stations designed by the architect Sybold van Ravesteyn. The stern, symmetrical facade with its highly individual take on classicism, is typical of his post-war architecture. It was built after its predecessor had been partly destroyed during the Second World War, retaining the original platform roofs. The station behind the restored facade has since been adapted to meet present-day requirements. One of the few terminals in the Netherlands, it is situated far from the town centre as it serves the ferries sailing to England and to Breskens across the Westerschelde.